Karnak Temple near Luxor is the second most visited attraction in Egypt, and gives way only to the Pyramids of Giza. This unique large open-air museum is located about 500 km south of the capital, Cairo, and is only 2.4 km in the north itself, Luxor. The key difference between Karnak and most of the other temples and sites in Egypt is the length of time they were created and were inhabited. 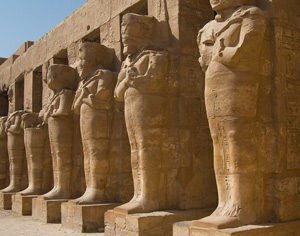 Approximately thirty pharaohs contributed to the construction of buildings to eventually reach such a significant scale and complexity of architecture, which can not be seen anywhere else in the world. The ancient Egyptians used to call the area around Karnak, Ipet-isut. Its construction began during the Middle Kingdom of Egypt around 1900 BC and this was the nucleus where it began to take shape in the booming. After that stage, the capital of Egypt was Thebes. Nearly 1500 were needed by the ancient Egyptians to build the entire base complex. The museum is a huge conglomerate of ruined temples, chapels, masts and other buildings. It consists of four main parts separated by a fence wall. Undoubtedly, the most magnetic attraction there is the great temple of Amon. Legendary, the stylish hall impresses with its size of 134 massive stone columns with heights between 15 and 21 m that rise in the room. Each of the pillars are so huge that they need about 6 people to cover it with their hands. Particularly impressive are the sphinxes of Ramses II and the most is the festive hall of Thutmosis III. Granite sanctuary, a sanctuary that is God is where ceremonies were held, there was stored, the boat which served to carry the deity during the processions. Of all the tombs in the complex it is the only one open for free visits. Understandably many people associate Karnak with only this museum because it is the only part of the complex, which they see. The remaining three parts are devoted to other rulers of the holy Theban triad – Montu and Amenhotep IV are closed to the public. 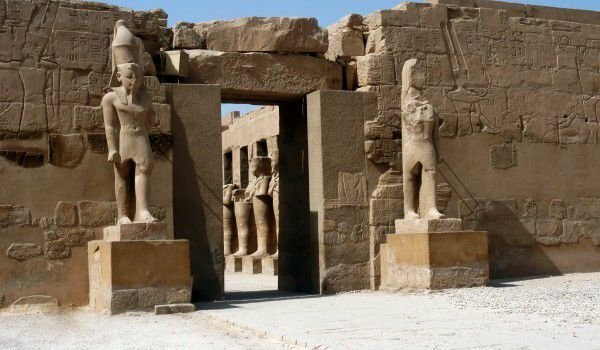 There are several smaller temples and sanctuaries located outside the walls, the four main parts and several roads connecting the temples of Montu, Amenhotep and the Temple of Luxor. By that "the residence of the Pharaohs" can safely get away, but it is advisable to take a taxi. The Temple at Karnak near Luxor is open from 6:00 am, because then the weather is cool and is most appropriate for tourist visits. Every night there is an exported worldwide popular show "Sound and Light", which should not be missed.